Podiums, monitor stands, literature racks and so much more. 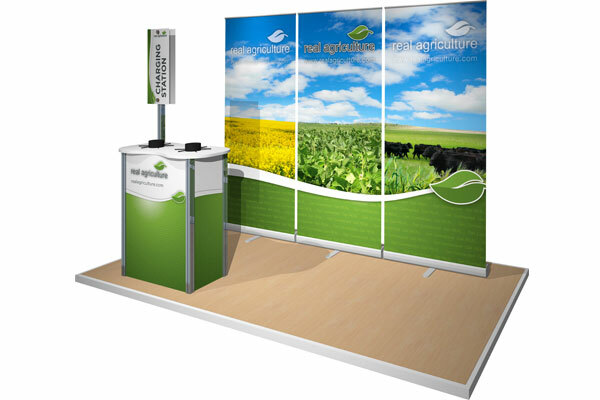 There are many elements incorporated into creating a trade show display that fall under the general heading of display accessories. 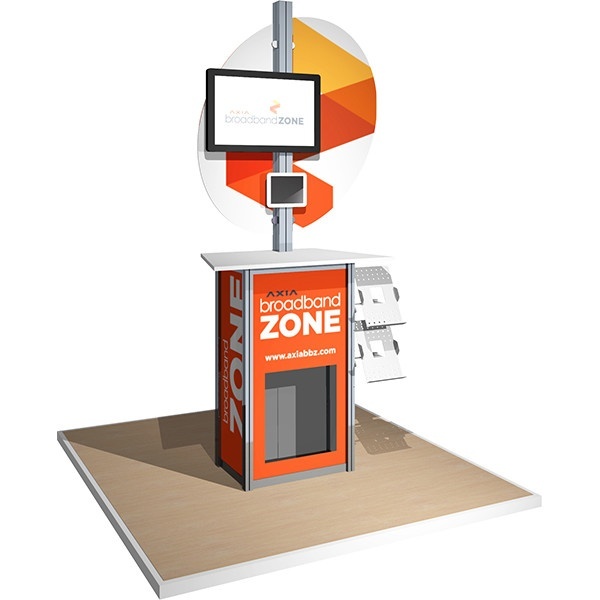 Each item works with your booth in order to add in some extra flare and completes your trade show exhibit presentation. We carry a variety of items and of many purposes and sizes to fit your branding needs. Interested in seeing some in action? 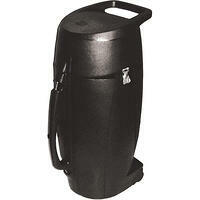 Check out our Display Accessory Gallery! 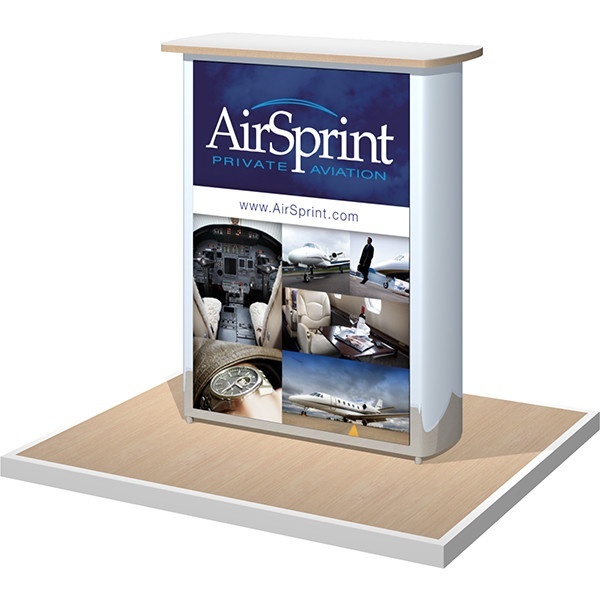 A podium can be as simple as a shipping case wrapped with a fabric or graphic panel. It can also be as elaborate as a full circle reception counter complete with locking storage, a monitor or brochure stand, product showcase, & backlit face panels. As the name suggests, the most common use for a literature rack is to hold brochures, specification sheets, print samples and more. Clients have also used them to display paint, carpet & tile samples in the past. 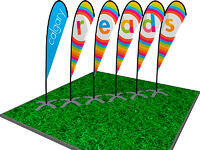 Literature racks can be more flexible than you think. From as small as an iPad to a 16-screen video wall, we can not only create monitor stands and media walls but also design & build them to be knocked down for easy shipping. 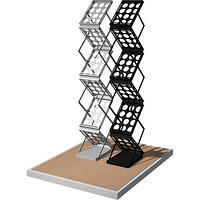 Our hardware allows you to add on shelves, graphic panels, brochure holders, bag holders and more! Show guide lines generally prevent you from hanging anything from the ceiling in a booth space smaller than 20’ x 20’. However, when you are allowed to, it is a shame not to take advantage of the visual impact you can get from a hanging sign long before a prospect gets to your booth. Whether you ship short distances or abroad, make sure your display is protected at all costs. Our shipping cases offer the protection you need for any size display. 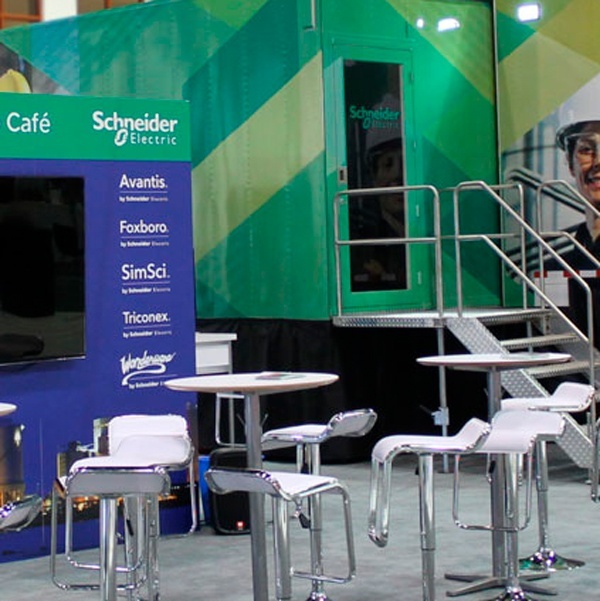 Exhibit Studio really provided customized trade show display options for my business. 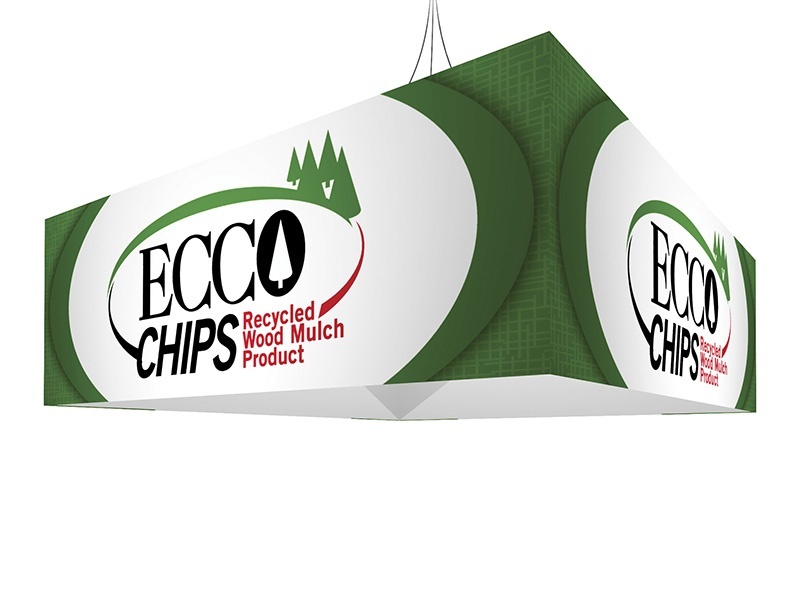 Whether it is a new display or ways to freshen older designs, Tracey and the team at Exhibit Studio ensure I am maximizing my trade show marketing dollars.